Kari Halbrook is a partner in the Indianapolis office of Lewis Brisbois and a member of the Asbestos Litigation and Toxic Tort & Environmental Litigation Practices. Over her more than fifteen years as a defense litigator, Ms. Halbrook has played a key role as National and Local Asbestos Defense counsel and worked closely with corporate legal departments in developing and carrying out defense strategy as well as case management. She has directed local counsel on defense strategy, discovery objectives and deposition handling. Ms. Halbrook has been successful at achieving early dismissals of clients through aggressive motion practice and negotiations of voluntary dismissals as well as case-by-case and global settlements. She has counseled and trained large corporations regarding document retention, search, review and discovery issues. As part of her general litigation practice in Indiana, Ms. Halbrook handles cases as diverse as landlord/tenant, personal auto injury defense, casino collections, wrongful death defense and premises liability defense. 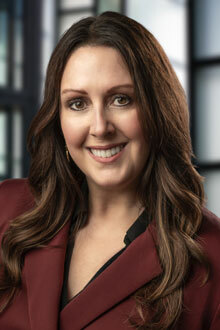 Ms. Halbrook has experience with bench and jury trials as well as arbitration, and has extensive deposition experience.